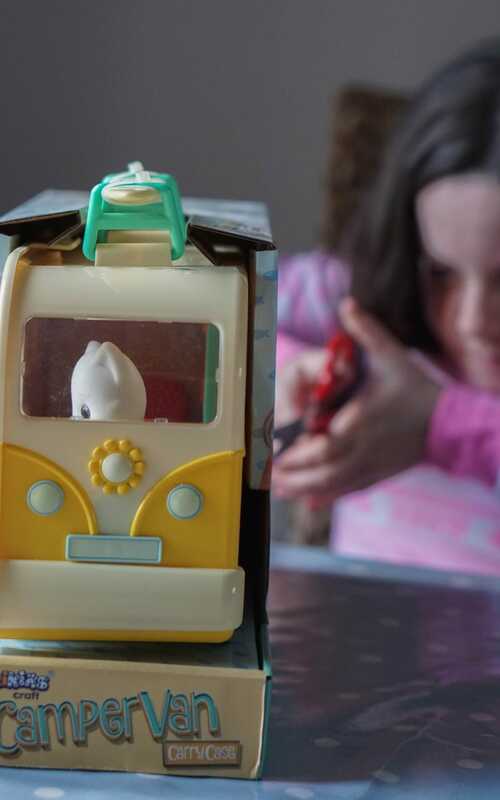 The Fuzzikins Campervan is a lovely addition to the Fuzzikins range, the cute little fuzzy animals that can encourage imaginative and creative play. 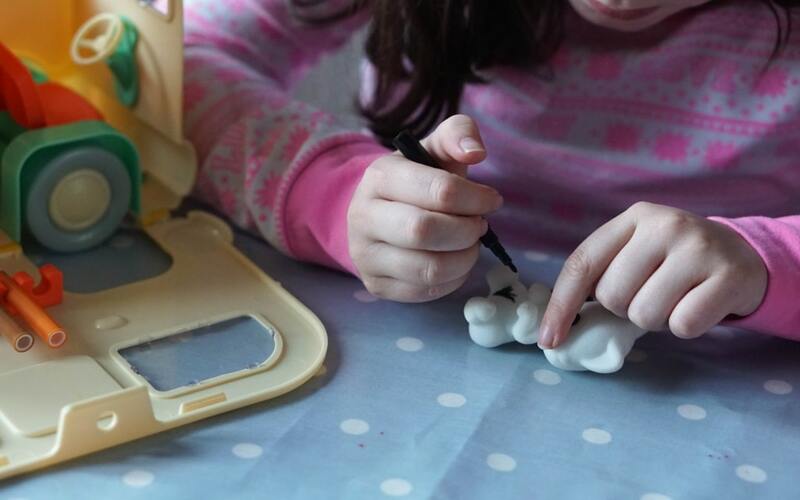 Being able to colour in and customise your very own toy to your own design! And what better mode of transport for them than a campervan! 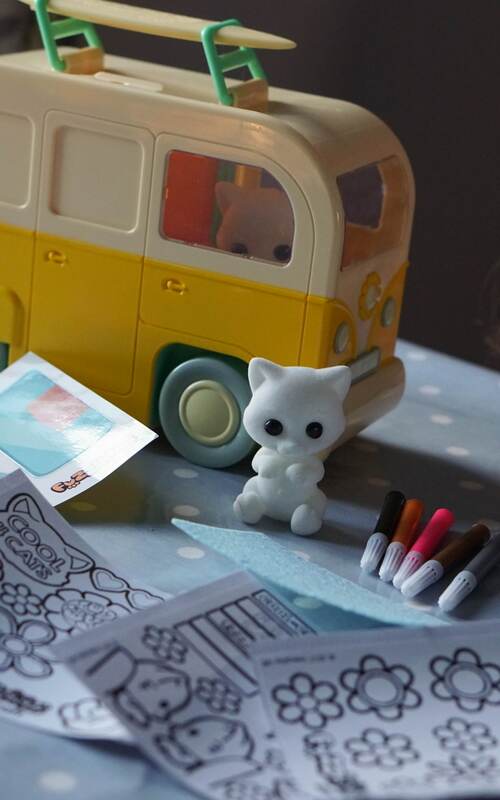 The Fuzzikins Campervan comes with two cats, surf board, blanket,pens, instructions and stickers to colour in. What is even better is that the Fuzzikins are able to be coloured in! 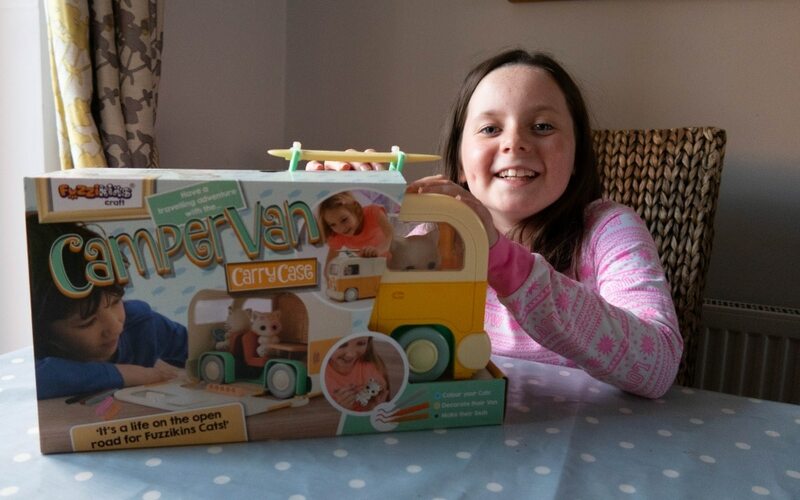 The Fuzzikins Campervan set comes with pens to use and she loved the freedom to be able to create her own cat design. There isn’t many toys that they’re allowed to draw on is there! Best of all they are washable so they can keep on creating new designs on their Fuzzikins. 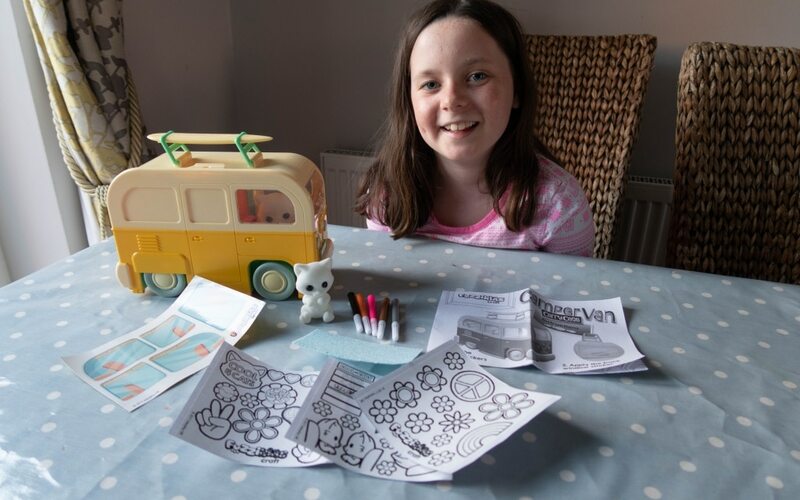 The Fuzzikins Campervan also comes with a set of stickers which can be coloured in and stuck on the campervan to customise to your own design. 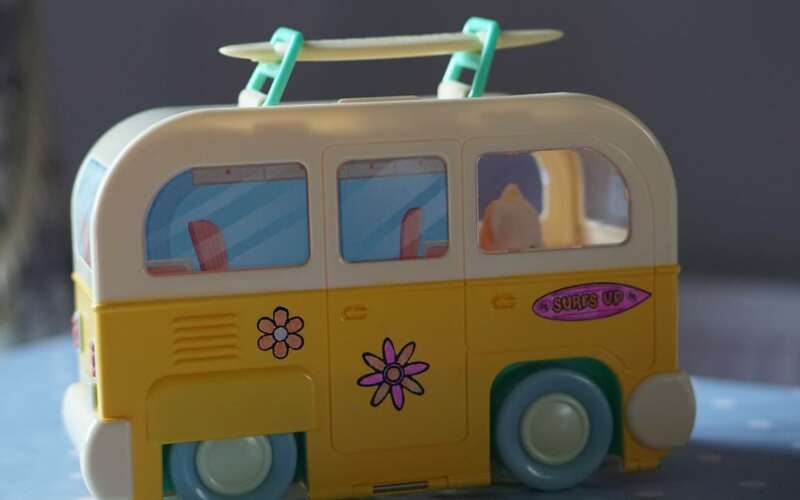 Once you’ve finished pack them away inside ready for their adventures, clip the campervan together and pop on the surfboard and it can be now used as a carry case too. 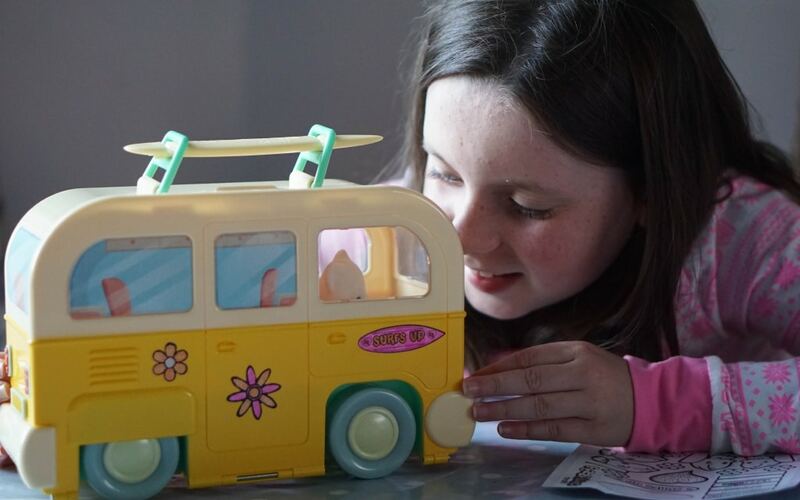 Lily really enjoyed the Fuzzikins Campervan and got her creative and imaginative play going. Priced at around £19.99 I think it is quite good value. Yeah it really appealed to my kids! Since it’s already September, this will be a good gift option for my friends’ kids. Yes have to start thinking about Christmas now, I have purchased a few presents…..! Yeah mine love that they can get away with colouring in a toy!! That’s a great toy which is very reasonably priced. It’s true too that not many toys can be coloured om. And none that can be washed ready for a new creation! Yes it is a great price isn’t it, they loved being able to keep on creating! 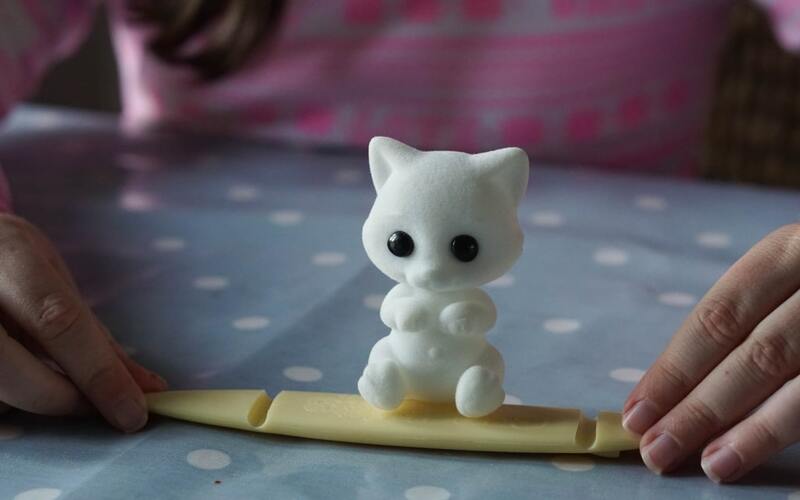 Awesome value, my kids love creative toys like this that they can put their own stamp on. Aww I love the fact you can colour in your stickers and personalise it. Very cute. Yes there was so many to choose from as well, you could cover the campervan in them! That’s a cute toy for a child to have. I love that she can even color the animals. Nice! What a cool toy. My twins would love to play with this. 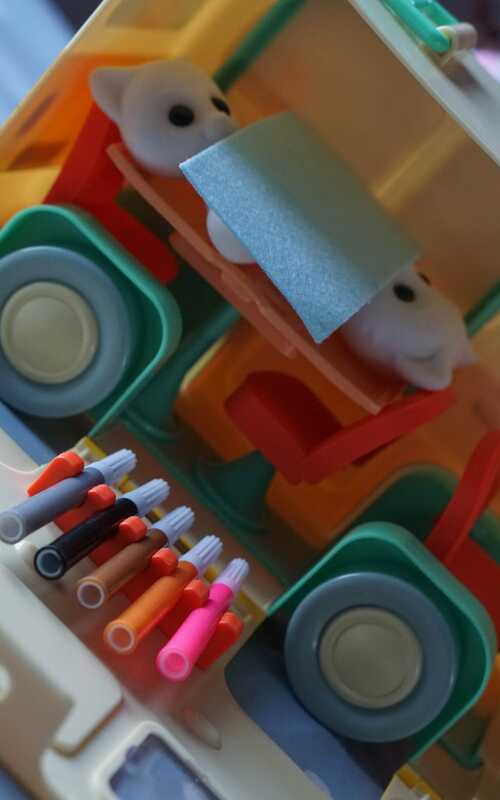 Yes I miss the days when my son would play with little toys too, hes now 14 and totally not interested! Oh! They’re deadly. We have a few fuzzikins but never saw the capmervan pack. They are taken out and played with regularly in this house. I think we now might get a few more additions to our house too! Yes I love that they can make them whatever colours they want, multicoloured if they want! This is the first time I’ve seen Fuzzikins they are cute little critters. 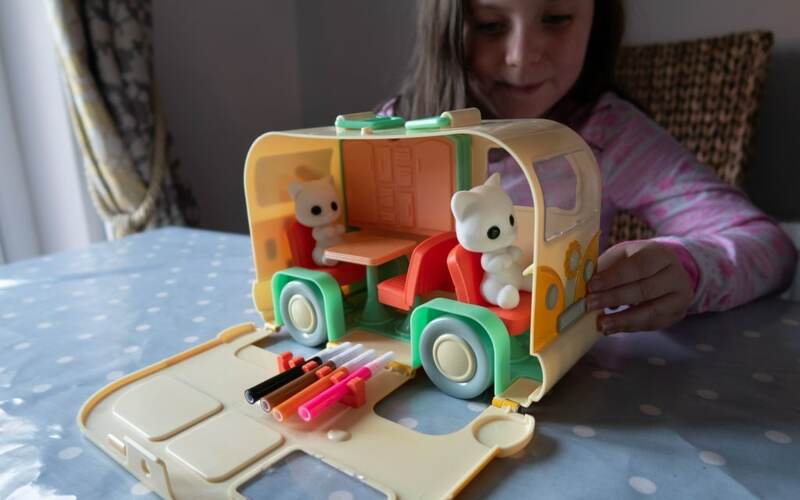 Also loving the retro camper van. Very cool. They are cute aren’t they, so soft to touch. 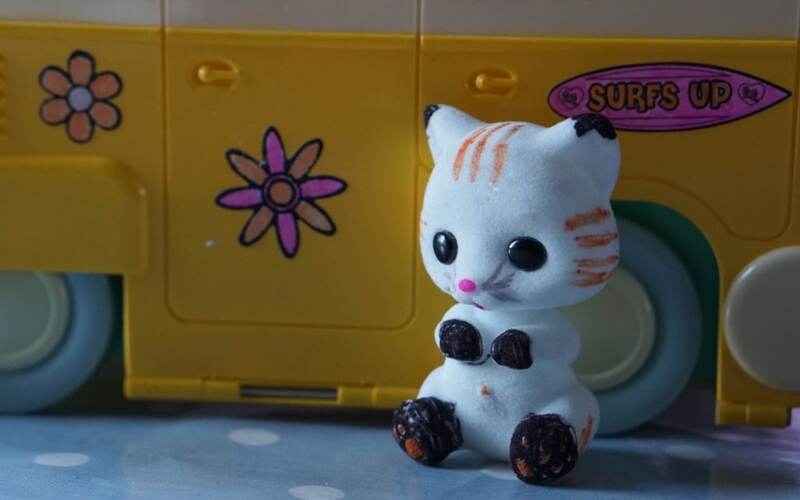 Being able to draw on a toy is a brilliant idea for them isn’t it, they can make the cat whatever colours they want! Omg this is so cute! Love the camper! Its very cute isn’t it!